Details and photos to follow. This is a very attractively laid out cemetery, worth a visit. 23 CWGC graves in total. 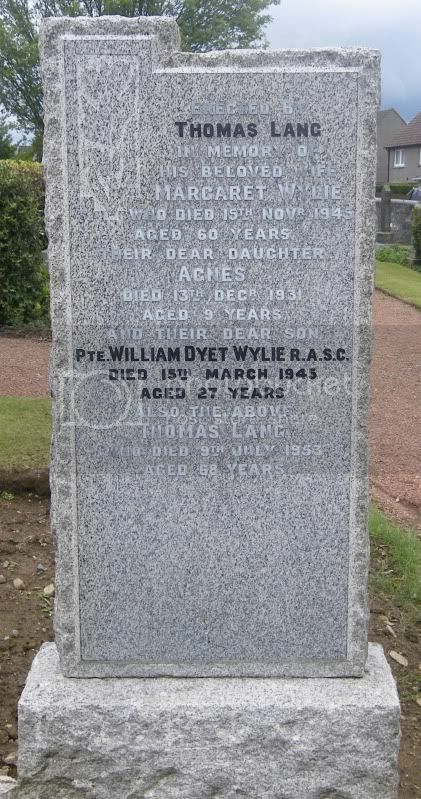 Additional information: Son of Andrew and Agnes Young Adamson, of Newtown, Lesmahagow. Additional information: Son of James and Susan Brown Baird, of Manse Cottage, Lesmahagow. Born at Lesmahagow. Additional information: Son of Alex K. Cairncross and Elizabeth W. Cairncross, of Lesmahagow. Grave/Memorial Reference: Plot B. Grave 123. Additional information: Son of Margaret Tennant Callan; husband of Margaret Tait Callan, of Kirkmuirhill. Grave/Memorial Reference: Plot G. Grave 75. Additional information: Son of Alexander and Agnes Coats, of 16, Hillview Place, Coalburn, Lanarkshire. Employee of Caledonian Railway Co.
Additional information: Husband of Elizabeth Dempster, of 14, Old Hill, Auchenheath, Hamilton. Additional information: Son of John Elliot, of The Crescent, Milton Park, Lesmahagow. 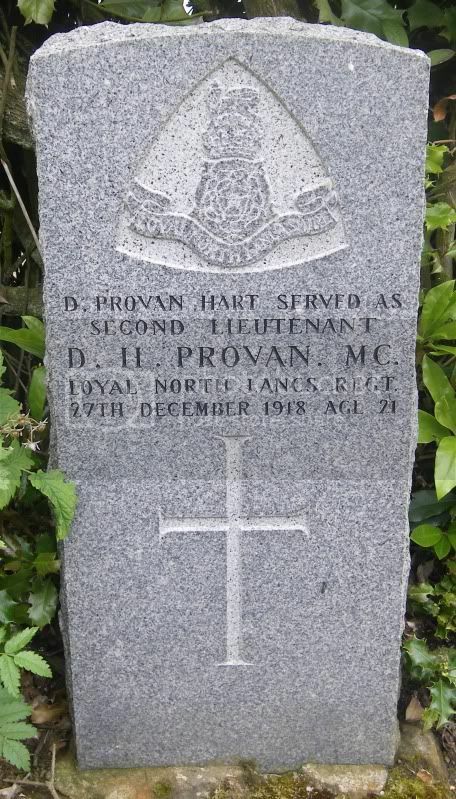 This might be a record for one burial, as Private Elliot is commemorated on no less than four separate stones. Additional information: Son of John and Julia Goldie, of Coalburn. Grave/Memorial Reference: Plot I. Grave 63. Additional information: (Served as PROVAN). Son of Edward and Janet Hart, of Netherfauld House, Lesmahagow. Additional information: Son of Gavin Rodger Harvie and Isabella Burns Harvie, of Hamilton. Grave/Memorial Reference: Plot K. Grave 50. Grave/Memorial Reference: Sec. J. Grave 91. Additional information: Son of Thomas and Marion Law, of Larkhall. Grave/Memorial Reference: Plot B. Grave 169.